4) Erikson was last in court a week or so ago, there to support his kamerad Andy Nolch, the man convicted of desecrating the memorial to Eurydice Dixon (the young woman who was raped & murdered in JUN 2018). Nolch was also in attendance @ #Anning's meeting in Moorabbin today. 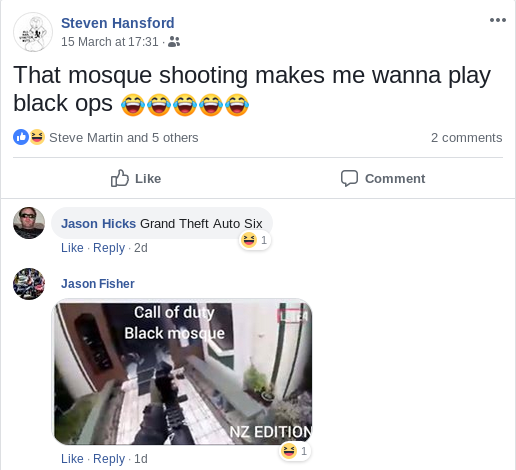 5) Just as many nazis across the globe have celebrated the massacre in #Christchurch, so too did local nazis & other misogynists celebrate Nolch's desecration. It may seem appalling to many (it is), but that's the nature of the beast. 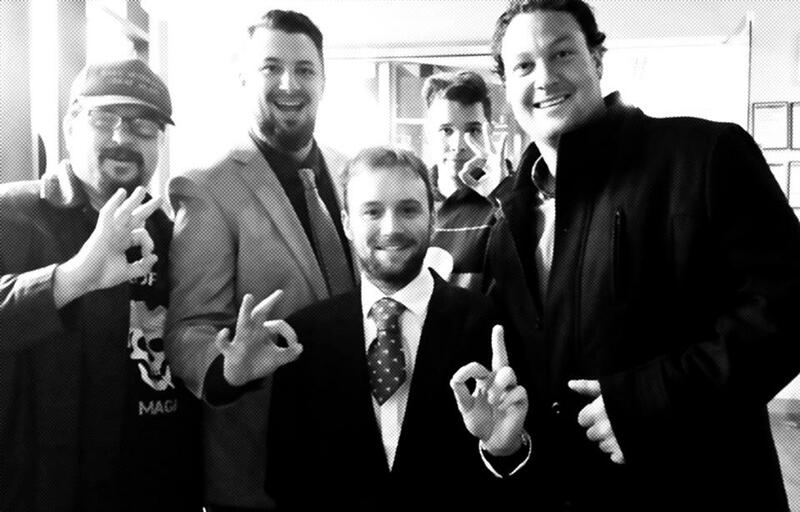 6) I haven't had an opportunity to look closely, but along w Blair Cottrell, others in attendance included some local #ProudBoys, #AltRight propagandists from the (@Google-approved) site 'The Unshackled' & XYZ, & maybe 60 or so chuds of the sort to be found in StK in JAN.
8) For anyone unfamiliar w Blair Cottrell (who was recently kicked off @Twitter), he's #Melbourne's most infamous neo-#Nazi activist. 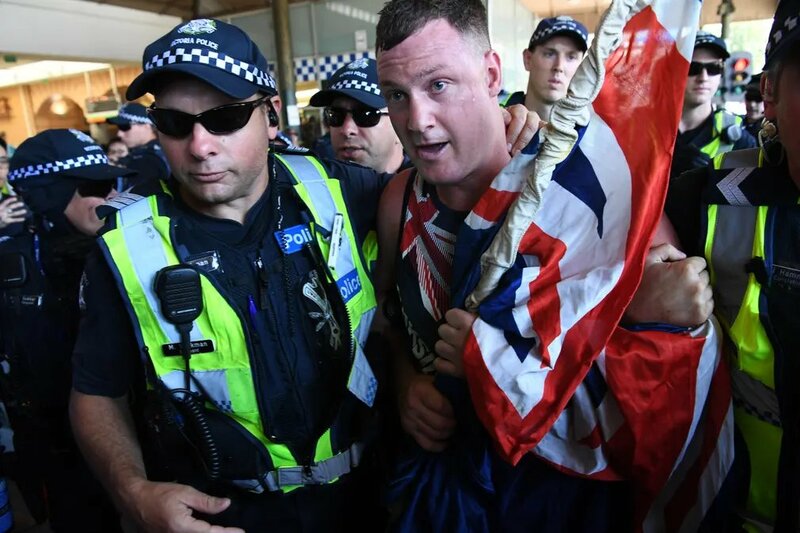 He emerged in public @ the #ReclaimAustralia rally in MEL in APR 2015, & later helped est the 'United Patriots Front', the militant wing of RA. 9) BC gained some notoriety after it was documented that he had called for a portrait of Adolf Hitler to be hung in every AUS classroom & for a copy of Mein Kampf to be issued to every student annually. #TrueStory See : smh.com.au/national/blair…. 10) In JUL 2015 I more fully documented his views (which are bog-standard for a nazi) in this post: slackbastard.anarchobase.com/?p=38730. 11) Later, Cottrell's criminal record was made public. 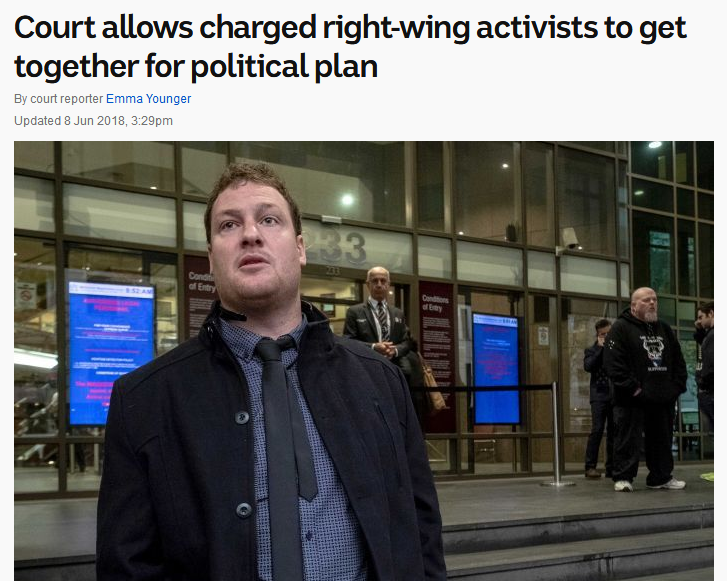 Cottrell has been convicted of numerous srs offences including arson & stalking & was convicted of srs vilification of Muslims (along w Erikson & white nationalist Chris Shortis) in SEP 2017. 13) Note that the UPF collapsed after its @facebook pg was DELed in mid-2017; @ that point the UPF pg had s/thing in the order of (IIRC) 120K+ followers, & along w RA was one of the most prominent of the hundreds of #Facebook properties pouring out anti-Muslim propaganda. 15) Anyway, I still haven't had time to trawl thru the stills & footage, but it does appear to be the case that the man (in black singlet) who choked #eggboy (esp judging by his voice & because his attendance was confirmed) may well have been another chud named Ricky Turner. 16) Turner, like Erikson, is a RW serial pest, participating in many actions over the course of the last 2-3 years. 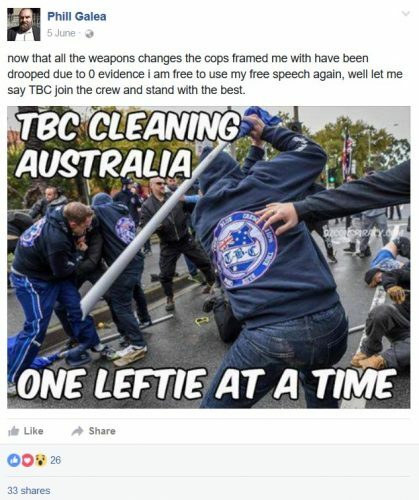 A sample: having attended #Anning's StK rally (JAN 5), for #InvasionDay (JAN 26) RT trolled the MEL crowd (later being detained by pol). 17) Prior to this, posing as an Ordinary Mum & Dad™, RT confronted VIC pol minister Lisa Neville to complain inter alia about the policing & portrayal of Anning's rally in StK. Note that this report does not name RT. 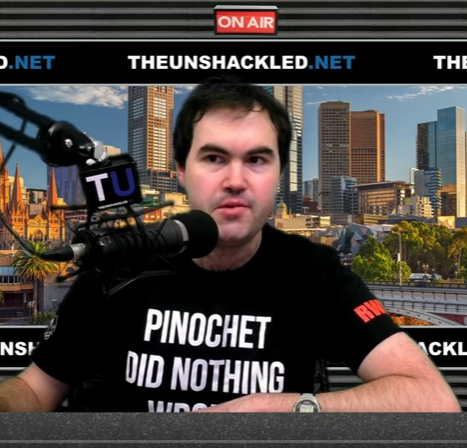 18) In NOV 2017, in a more notorious incident, RT joined NE, Logan Spalding & Garry Hume to racially abuse former Labor MP Sam Dastyari in a Melbourne pub; SD was called a 'monkey', a 'terrorist', & told he should 'go back to Iran'. See : abc.net.au/news/2017-11-0…. 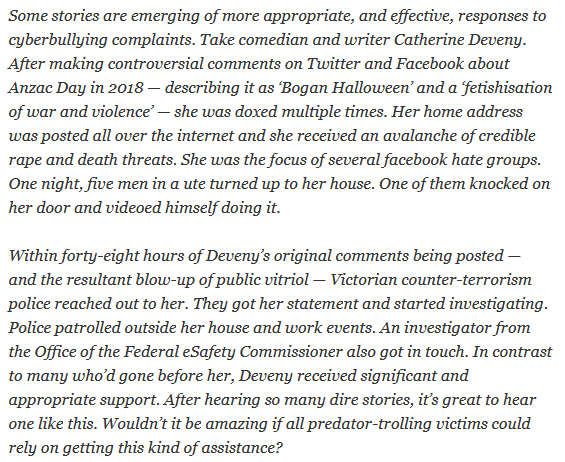 19) In another, somewhat more disturbing incident, Turner & friends also paid an impromptu, nocturnal visit to the Melbourne home of comedian Catherine Deveny after she made some 'controversial' remarks inre ANZAC Day last year. 21) FWIW, another of the five ANZACs who visited Deveny's home (AFAIK no charges were ever laid) was Rino 'Bluebeard' Grgurovic, another serial pest & close kamerad of both NE & RT; Bluebeard too was in attendance @ Anning's mtg in Moorabbin. 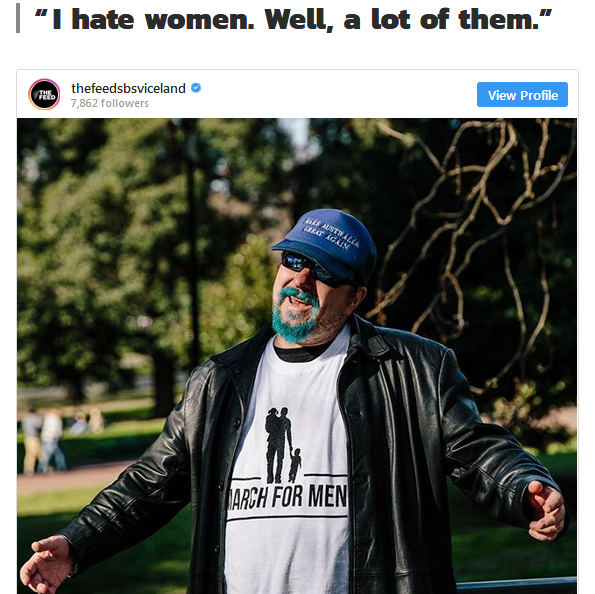 22) And if you wanna glimpse into Grgurovic's bRanes, he attended AltLight YouTube personality Sydney Watson's 'March for Men' in MEL in AUG 2018 where he was i/viewed by SBS. See : sbs.com.au/news/the-feed/…. 23) *The inter-relationship of racism, xenophobia & misogyny in the context of the far-right esp is ofc a whole other thing; there's a substantial & highly-illuminating body of (principally feminist & anti-racist) work examining the matter: see too (eg) @Feminist_AntiF. 24) Aside: The above rlly is just a *sampling* of individuals, their actions & r/ships; there's truckloads more blah on blog. Anyways, here's a nice pic of (L to R): Grgurovic, Erikson, Nolch, Spalding, Turner -- then constituted as 'Cooks Convicts' (proudly hosted by @Facebook). 25) Re CC, for a brief period in 2018 The Boys were gonna form a pol party w that name: "Rick's very passionate about being anti-politically correct because everyone's turning into a bunch of girls these days." See : abc.net.au/news/2018-06-0…. 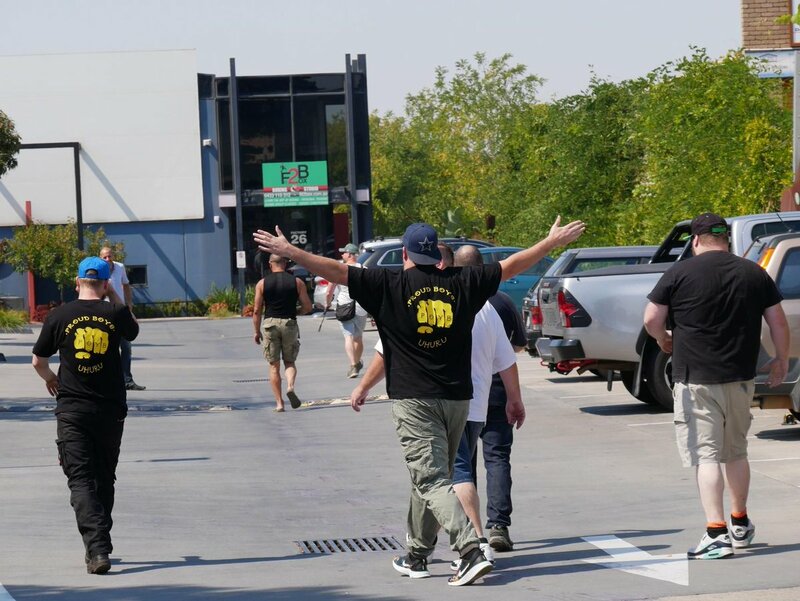 26) Speaking of Boys, also in attendance @ #Anning's mtg y/day were members of local chap of #ProudBoys. They've been in all sortsa troubles in the US -- see @NYCAntifa & rel accts for moar deets -- & their former fuehrer, Gavin McInnes, was denied a visa to AUS late last year. 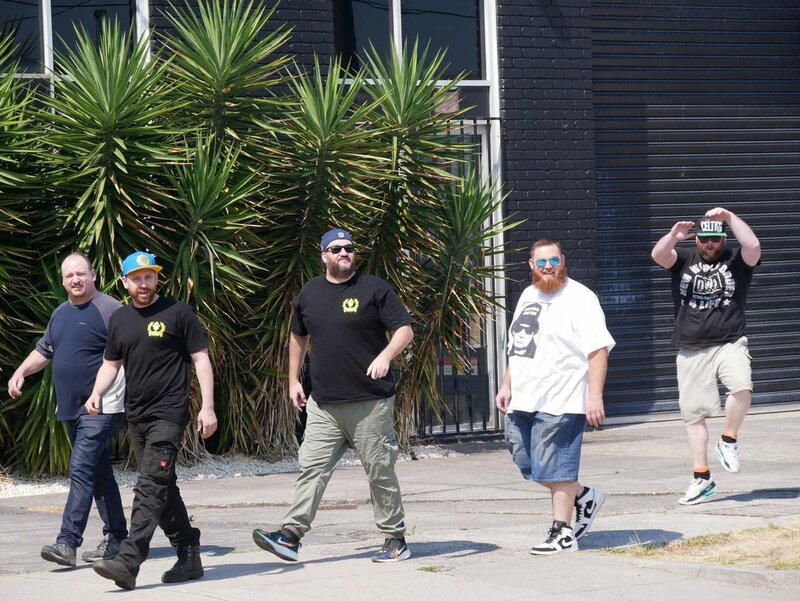 27) A coupla fofos of #ProudBoys entering the venue ('Studio Space for Hire', 26--28 Roberna Street, Moorabbin; AltRightist John Miller is owner/manager). 30) In 2016, Hansford participated in the TBC flagwit parade (see : slackbastard.anarchobase.com/?p=40035). As always, VICPol mobilised hundreds in order to ensure these blokes could march thru #Melbourne unmolested. 31) In which context, it's also worth noting that the TBC helped give birth to alleged terrorist Phill Galea (still on trial). Like Tarrant in #Christchurch, Galea considered himself a Templar, one who had embarked on a righteous crusade of ethno-religious cleansing. 33) > a 'kind of Neighbourhood Watch'. By same token, The Age compared another gang, the 'Soldiers of Odin', to NY's 'Guardian Angels'. On TBC & 7, see : slackbastard.anarchobase.com/?p=42500. 34) Leaving aside media for a moment, a few more deets on some of the men who attended #Anning's meating in Moorabbin. While many would be familiar faces from his prev event @ StK, some have longer pedigrees, eg, 'Troy Bloodstone' (red circle). 35) 'Bloodstone' is a former UPF member turned 'The Lads Society' thug. 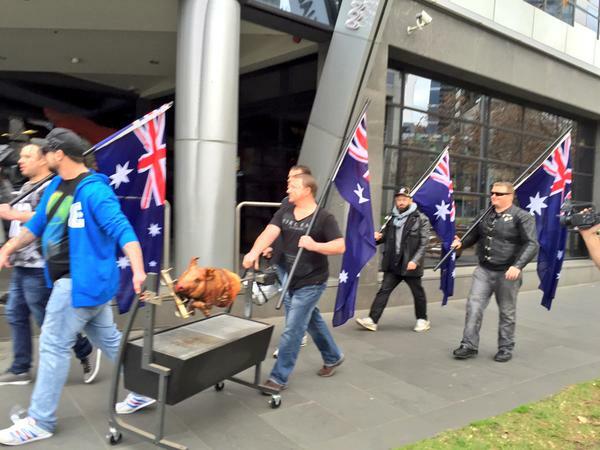 Here he's depicted (second from R) attending @abcnews studios in #Melbourne in JUL 2015 for a UPF publicity stunt. See : slackbastard.anarchobase.com/?p=38437. 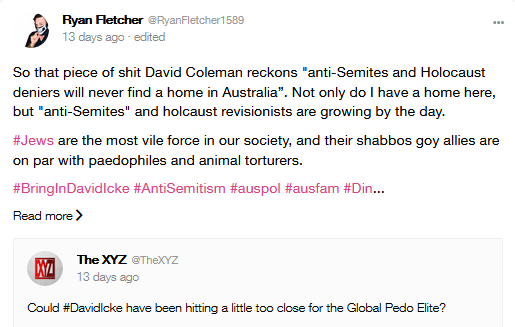 36) The ('Jewish-controlled') meeja is frequently identified as being a principal enimy of these 100% dinky-di true-blue she'll-be-right-mate throw-another-shrimp blokes, but fortunately their fuehrer & @adamgiles' "mate", Blair Cottrell, has a simple solution: kill them. 38) The tee reads 'Pinochet Did Nothing Wrong' & has the slogan #RWDS on the sleeve; it's a reference to the mass murder, torture & imprisonment of leftist opponents to the Chilean dictator's (1973--1990) regime (see : hrw.org/news/2018/10/1…). #ProudBoys &c. also freq wear tee. 39) TU was est in 2016 'by Tim Wilms & Sukith Fernando as "the new battle front against the progressive left, social justice warriors & political correctness", releasing regular podcasts & articles w an aim to increase appeal by introducing videos'. See : smh.com.au/national/keybo…. 40) Naughty Mister 'Wow Hitler really did nothing wrong' Fernando got into a spot of bother in 2017 when he outed himself as a Hitler fanboy & Holocaust denialist; both elements increasingly common among reactionary Tory yoof on campus & elsewhere. See : honisoit.com/2017/09/holoca…. 41) Speaking of antisemitism, XYZ has become an increasingly voluble AltRight platform on #TheJQ. Its principal contributors include Ryan Fletcher (VIC) & David Hilton (AKA 'Moses Apostaticus', QLD). Fletcher wrote 'From HEMP to Hitler', which splains his evo into a neo-#Nazi. 42) Like many others, RF has gravitated to the Twitter-for-nazis platform #gab, best known for having helped give birth to Pittsburgh killer Robert Bowers. See : nytimes.com/2018/10/28/us/…. 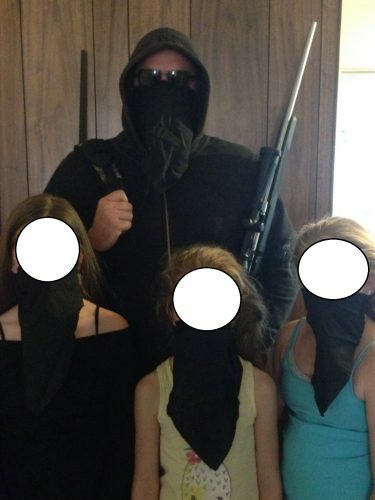 43) On gab, RF has promoted Antipodean Resistance; like its UK & US kameraden (National Action & Atomwaffen), AR promotes James Mason's 'Siege' as a key manual. See : 9news.com.au/2019/02/05/11/…. 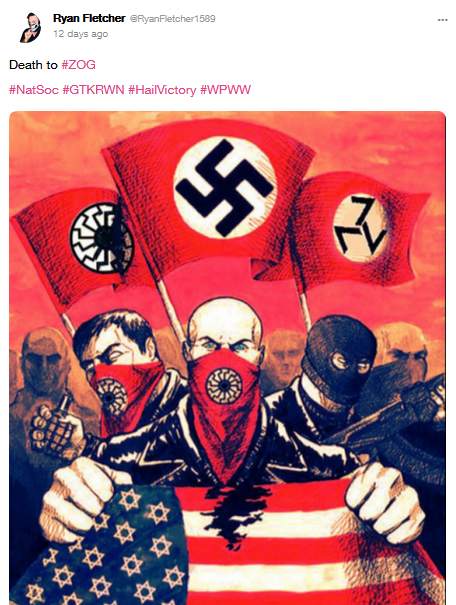 44) Something of the flavour of RF's output & public exhortations to kill Jews & Others is captured in these posts -- note that these are illustrative not exhaustive; also, that RF is using the Sonnenrad ('Black Sun') symbol, as did alleged #Christchurch killer #BrentonTarrant. 46) Another contributor to XYZ is high school teacher David Hilton. You can read more about him here: slackbastard.anarchobase.com/?p=41669. Like other semi-pro antisemites, Hilton was a freq contributor to Tucker Carlson's webshite The Daily Caller (see : splcenter.org/hatewatch/2018…). 47) XYZ is edited by Melbourne-based music teacher David Hiscox. You can read more about Hiscox & XYZ here: slackbastard.anarchobase.com/?p=42611. Originally simply another outlet for angry, racist, middle-aged Tories, the webshite now openly endorses antisemitism & white nationalism. 48) While indicating that he'd be attending #Anning's meating, I'm unsure if Hiscox went; acc to reports, his sidekick Matthew Roebuck (AKA 'Matty Rose') did attend. In 2017, Roebuck gotta grad.dip in jernalisms from RMIT, & this invaluable exp now informs his hate-propaganda. 49) That's it for now but: while soc media destroyed the blogosphere some yrs ago, there's heaps more blah on the blog; I've received a no of inquiries from journos et al about this stuff, & while trying my best to respond, it'll take time (doing what I can, as I always have). One thing you don't see in the short #eggboy clips—Annang's supporters put him in a chokehold and left him in one while he was incapacitated on the ground. One casually kicked him in the guts while he was restrained. Here's close-up video of the kid being choked and threatened while entirely passive. Bandera flesh mob is launched after neo-Nazi C14 attacked #Kyiv district #Police headquarters following detention of C14 activists with knives & other weapons at Tymoshenko eection rally. 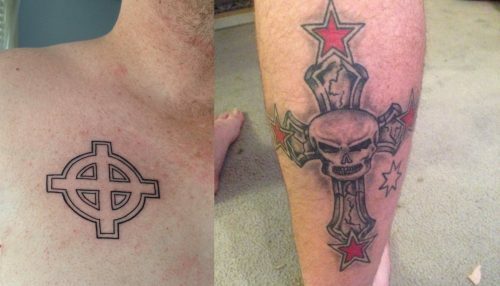 Prosecutor General Office of #Ukraine investigates police for detaining neo-Nazi activists. Detention of neo-Nazi C14 activists, who admit collaboration with SBU, at Tymoshenko election rally is another evidence of Avakov defection to Tymoshenko. But Bandera flesh mob shows that regime & far right are united in worshiping Nazi collaborator & mass murderer.